day 300, WOW! it's good friday and i have thoroughly enjoyed spending the day with family and good friends. i wanted to sit at my sewing machine today, i have had sewing withdrawal. it was going to have to be limited but i wanted to make the effort and i found the perfect idea on pinterest from the little fabric blog. 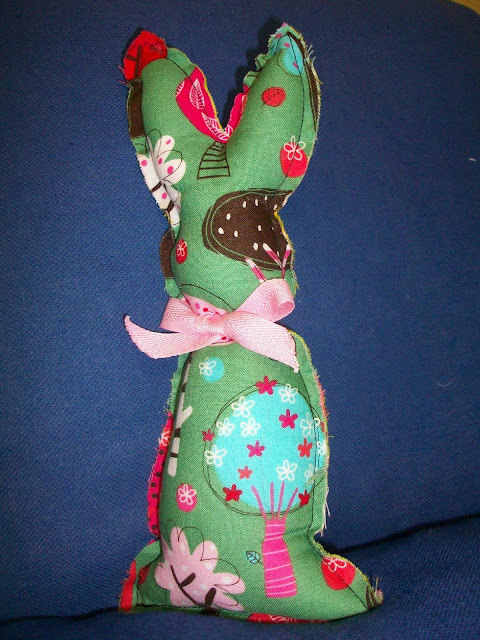 these are the cutest, no fuss, no need to be perfect, easter bunnies. 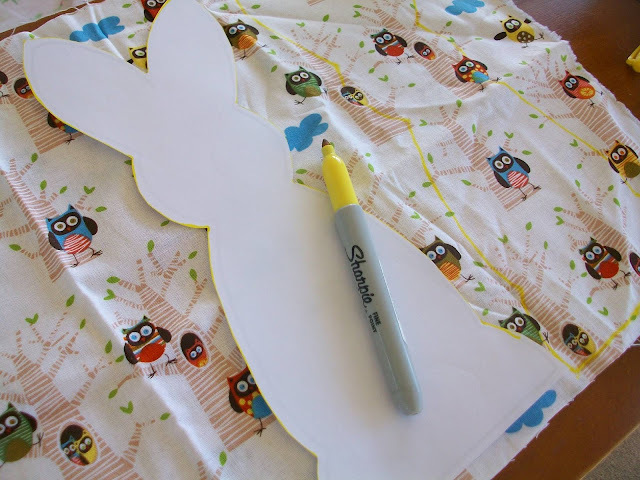 i loved them, they require little skill as they are designed to be easy and when it comes to sewing that's exactly what i need because these bunnies have no straight lines. these bunnies are pinned to my easter in autumn board on pinterest. the tutorial is really well explained with pictures and text, however, it does come with a warning ... these little bunnies multiple as they are addictive to make, or words to that effect! 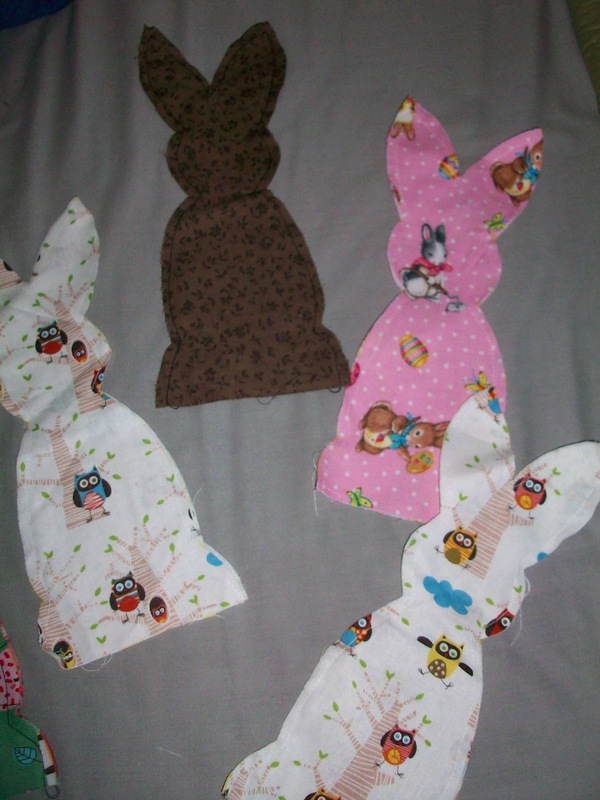 i decided i would be three, and before i knew it i had cut out five .. so i made five .... today. 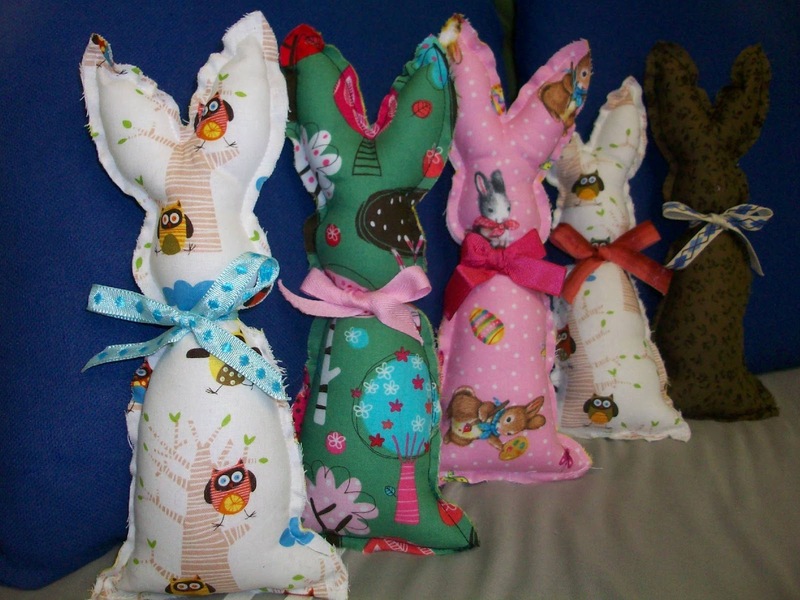 outcome: tomorrow ... i will make more, i WANT baskets filled with them ... 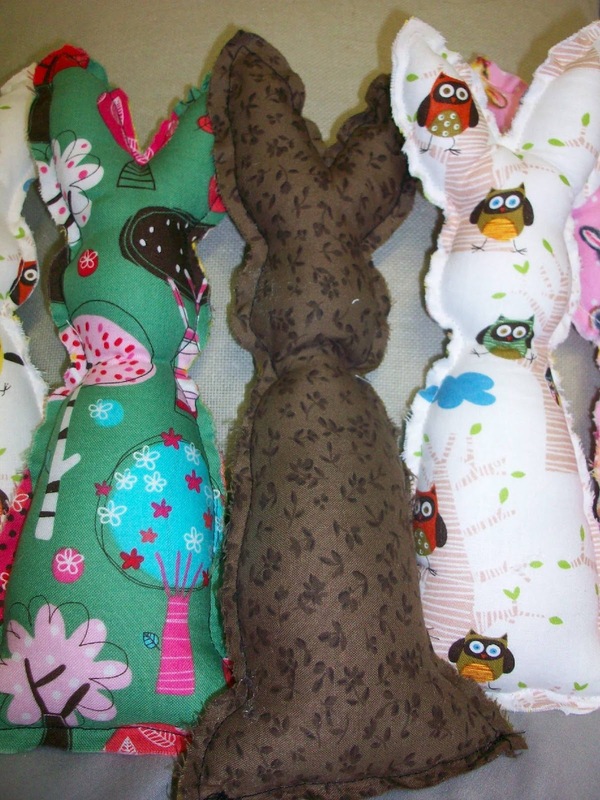 THEY ARE CUTE and it doesn't matter that they all come for the same pattern, they ALL have personalities ... you can't help but want to make more of them. lucky for you and i they are easy to make, rewarding to do, and require limited sewing skill ... as i said, there are no excuses for not making these little guys. They are adorable! I think even I could manage to make one of those. 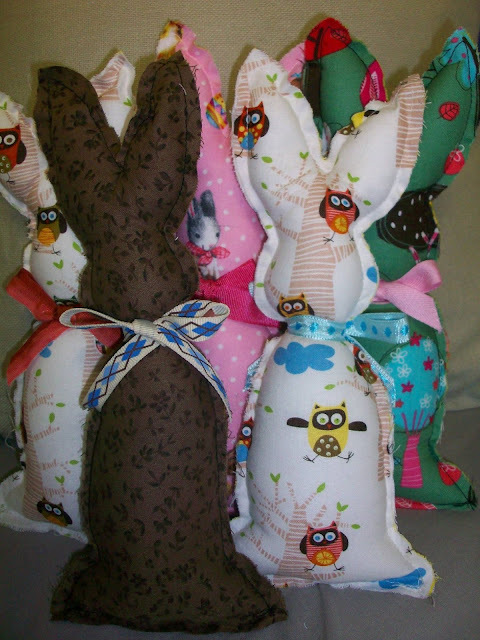 :) You always have the best fabric too - love the owls in the trees. :) And Jenny's right - keep them away from the eggs!! -Adorable blog here..moreover i can say this is very helpful to everyone..